This is the fourth post in a seven-part series for Spectrum’s 2016 Summer Reading Group. Each post will be drawn from chapters of the book Flourishing by Miroslav Volf. You can view the reading/posting schedule here. Friday, August 5 marked the 4th anniversary of the day Michael Page gunned down six Sikhs at the Oak Creek gurdwara in Wisconsin. Until Dylan Roof murdered 9 worshippers at Mother Emanuel AME Church in Charleston, South Carolina, Oak Creek was the largest mass killing at a place of worship in the US since the 1963 16th Street Baptist Church bombing. Nothing highlights our need to establish mindsets and cultures of respect than these and so many other instances of Othering, religious exclusivism, and terrorism in the US and around the globe. People literally die when we fail to respect each other. 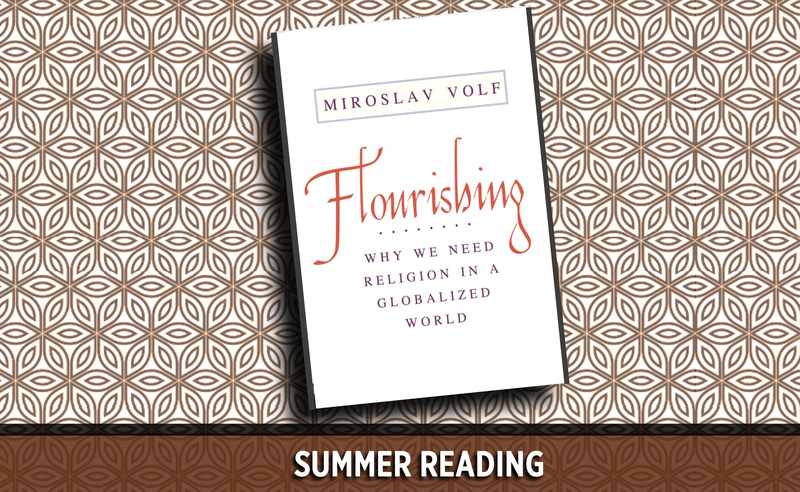 Chapter 3 of Miroslav Volf’s book Flourishing tackles the mutual respect that religious traditions need to give and also be given in a plural society. Volf explores two themes: (1) the “global security risk” of religious intolerance, and (2) relationships within religions, between religions, and between religions and host societies that mutually honor religious freedom. On the question of religious intolerance, Volf cites data from 2012 and 2013 on global religious freedom, and these data present quite a dire, violent picture. While data from just a year later show an increase in religious violence, they also show a “five-year decline” in severe global restrictions on religious freedom, and the percent of people around the world living with high or very high social religious hostilities falls from 46% when Volf wrote to 23% in 2014. Volf outlines religious violence against Christians, Muslims, and others, but does not address “intolerant attitudes and practices” that Christians direct toward others (p. 98). Volf acknowledges that the major world religions all have poor global track records with religious freedom over the centuries and within our own century. He mentions the Christians who baptized the Western hemisphere in blood at the start of the colonial globalization era, the Muslims who conduct terror campaigns or use their states to repress other religious groups today, and mutual stereotyping among some Christians, Muslims, and secular Europeans: minoritized religious groups in every culture can testify of dominant groups’ intolerance. The religions that Volf argues share the trait of exclusivist intolerance also share the practice of universally describing and asserting moral claims about all people. “Universal claims” is one of six criteria that Volf uses throughout the book to frame his discussion of world religions (pp. 68-69), and I still have my doubts about restricting the discussion of “religions” to those religions that possess this feature. Like most Spectrum readers, my personal experience is with intra-religious debates in Christianity, not intra-religious debate in Buddhism, Confucianism, Hinduism, Islam, or Judaism, or inter-religious debate in non-Christian-dominant nations. From experience I know Christians don’t share the same moral assumptions. I sometimes even catch myself wondering whether Russell Moore and Franklin Graham worship the same God I do. Within Christianity, Christians don’t agree on “what is true, just, and good for all human beings,” or how to correctly diagnose and resolve humankind’s problems. That’s why our conflicts are as rigorous and perennial as they are. Volf rightly notes that some intolerance naturally follows from adopting timeless, universal claims about all people: “When world religions are publicly engaged, they threaten to exclude all competitors; when they are pushed into privacy, they themselves are objects of exclusion (p. 101, 133). Religions and non-religious people aren’t going to vanish, so we have to establish whether, despite our substantive disagreements, we can learn to manage life together without exclusion, without marginalization, without dehumanization, and without violence. “Can adherents of a world religion learn to respect adherents of other religious and humanistic ways of life even while strenuously disagreeing with them? Second, can adherents of world religions embrace freedom of religion and a-religion and support pluralistic democracy? Finally, can democracies be ‘religion friendly’—set up such that they are equally fair to religious as to a-religious ways of life—and therefore genuinely pluralistic?” (p. 102). As part of his own answer, Volf reviews John Locke’s 17th Century principles of religious tolerance. Locke diverged from the dominant theocratic views of his era and proposed limits to states’ ability to advance sectarian laws, restrict religious expressions, or punish variant theologies and religious practices. He didn’t believe that piety made coerced thought or behavior permissible for religion or the state. Locke also discouraged efforts to honor sectarian religions’ universal moral claims by requiring the rest of society to comply: “True and saving religion,” he wrote, “consists in the inward persuasion of the mind, without which nothing can be acceptable to God” (pp. 104-105). Most importantly, Locke anticipated Seventh-day Adventists’ traditional distinction between the church’s authority over the spiritual/moral sphere of life and the state’s authority over the civil legal/ ethical sphere, between our right relation to a transcendent God and our right relation to one another. Our church promotes this distinction most clearly in discussions of the Decalogue. Perhaps Paul, Tertullian, and Locke were right about free conscience and the primacy of voluntary commitment; perhaps there’s “absolutely no such thing under the Gospel as a Christian commonwealth,” a society that combines the church’s authority with the state’s authority. If so, then historical and modern efforts to reform civil law and culture to create or recover a “Christian nation” that minoritized and non-Christian populations must yield to are deeply mistaken. These state-Christianizing efforts also undermine the individual freedoms that Locke and Volf argue are fundamental to all other freedoms, including religious freedom and freedom from religion. Volf notes two reasons that a world religion might not adopt either Locke’s model or his own: exclusive truth claims that praise people for joining a religion but punish them should they ever de-convert; and enmeshment with domineering forms of social and political power (pp. 111-117). Even within Adventism, adult converts often gain significant community credibility (e.g. Ivor Myers, Walter Veith, and Doug Batchelor), whereas adult heterodox, “heretics,” or de-converts can attract significant community opprobrium (e.g. Desmond Ford, Aubyn Fulton, and Ryan Bell). And our dynamic is bloodless; other religions’ membership policing process is not. Unlike religious adherents who perceive membership accessions and decessions as wins, losses, achievements, or attacks, Volf encourages us to receive others’ witnessing as an invitation to weigh our beliefs’ validity. He shares his wish to hear Jewish people challenge his belief in Jesus’ deity because “[these challenges] nudge me to reexamine whether what I think is true isn’t in fact a kind of fundamental error” (p. 116). Implicit in this wish is the reciprocity principle we teach as the Golden Rule: as much as Volf wishes to hear others’ witnessing, he also wishes to be able to witness to others. Genuine openness to others’ convictions and willingness to learn from them is a great ideal. It just requires a lot less existential angst than communities with exclusivist and universal truth claims regularly produce. Adventist community rhetoric often shows us struggling to parse the distance between people’s beliefs and their characters, or as Volf says, between people’s persons and their work (pp. 118-120). Review any comment section of your choice: Adventists who have few questions about the 28 Fundamental Beliefs or the church’s ordination policies are framed as loyal and respectful of the church’s authority; people who question how we’ve traditionally interpreted the Genesis chronologies or advocate for women ministers are framed as disloyal and untrustworthy. On the other hand, there’s obviously a way out of the person/work dilemma because people are already living beyond it. LGBT+ parents in the film Seventh-Gay Adventists can sew Pathfinders patches on uniforms as carefully as heterosexual parents can when their congregations allow them and their children to serve; heterosexual parents who disagree with the morality of their son’s relationship can still discern ways to participate in his family life without abandoning their beliefs. As Volf puts it, “we respect persons by virtue of their humanity, but we respect their work—their actions, convictions, character, and basic orientation—by virtue of its excellence” (p. 120). Serving a local church ministry and establishing a mutual and stable home life are both works that most onlookers can perceive as excellent. Our freedom doesn’t hinge on denying that works like these positively impact the people participating in them, and so indirectly benefit the communities they’re part of. My favorite version of the soul classic “Respect” is sung by the 1960s band Rotary Connection. Unlike Aretha Franklin's punchy celebration, the Rotary Connection’s choral/blues guitar version explains more plaintively, “All I’m asking is for a little respect.” In both cases, though, the song is only about the respect we want to be given. It never acknowledges the respect we also have to give. And this is the basic challenge that adherents of the world religions described in Volf’s book keep confronting because of our universal claims, exclusive commitments to truth, and struggle to generously observe the positive contributions other religions and philosophies have on members’ lives or wider world. We ultimately benefit from legal contexts that are biased towards dignity, religious freedom, and civil liberty for all, for these are societies that recognize that permitting discrimination and marginalization for one group creates vulnerabilities for all groups. From the very first chapter, I wondered whether Volf’s focus on the “major” religions to the exclusion of “local” and indigenous religions would be a disadvantage to him. This chapter may be one area of his model where It is. Non-universalizing religions have had millennia of practice in engaging the competing claims of other faiths, and they’ve often lost bitterly to religions that end arguments with the point of a sword. After all these centuries of missional globalization, it would be curious if marginalized religions had something to teach the dominant world religions about how to live through difference with respect, and the always-centered universalizing religions couldn’t resolve this issue without the lived wisdom of the communities they’ve so often violently failed to tolerate. Keisha E. McKenzie lives and works in Maryland, and writes at mackenzian.com.